Watch our new shop video to learn more about us! Welcome to Designing your own ring with Ring + Grove! 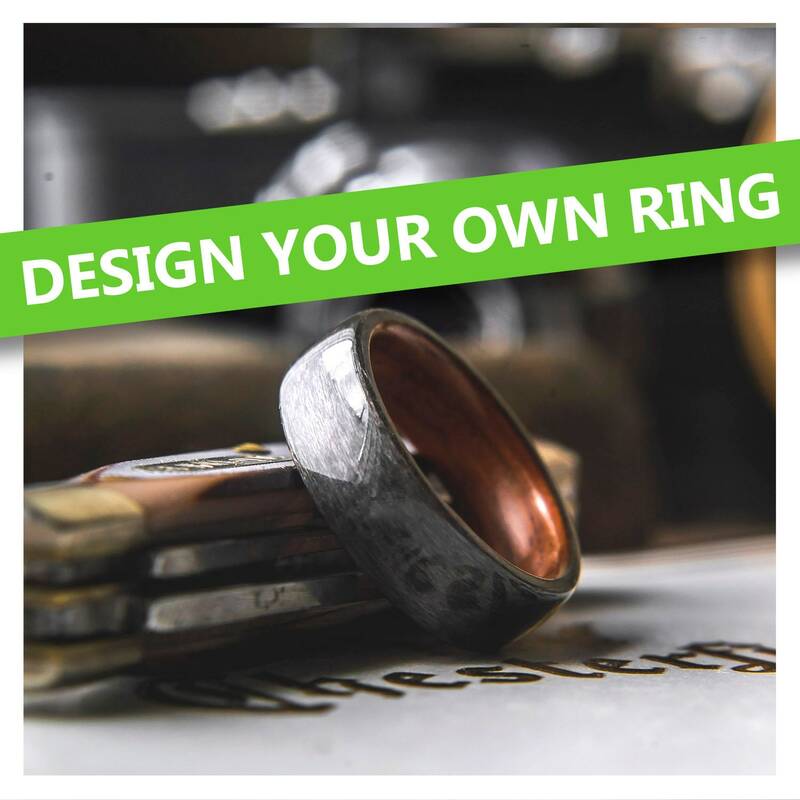 With this listing, you will be building your own ring! This ring is going to be 2 wood types of your choice. Simply follow the drop down menu to select the wood types you would like, then follow the instructions for sizing and width! The photo shows a ring made from Santos Rosewood on the inside, with Grey maple on the outside. Above 8mm wide, we recommend that you have tried on rings wider than 8mm in the side you are ordering to ensure a perfect fit. It is our personal belief that an Artisan made product should boast of superior quality as well as a memorable customer experience. We believe that each time a natural material is used, it should be treated with respect and not wasted. 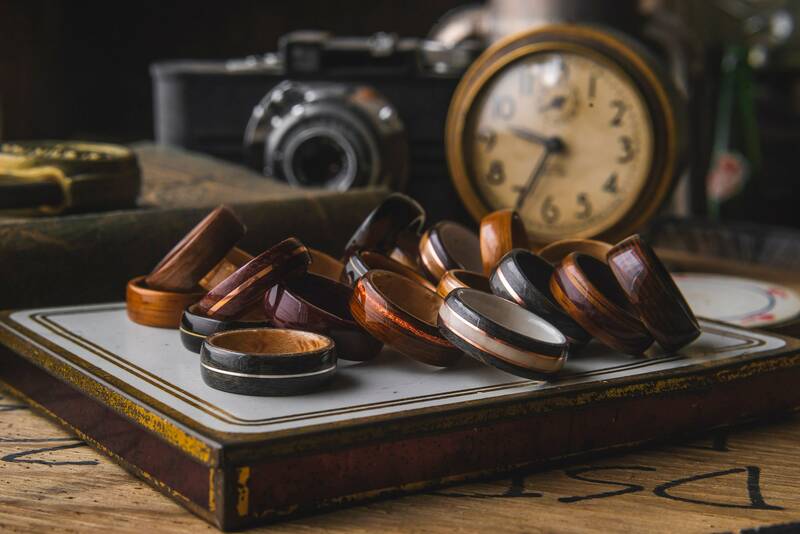 Our rings are crafted with the Bentwood method and instead of the common CA glue finish we use an extremely tough resin which is impregnated into the grain of the wood, making this ring extremely durable. We can resize our rings up or down half a step. We simply get you to mail the ring back to us, we will resize the ring, and we charge the return shipping. So no charge for the actual resizing. If the ring needs to be resized over a half step, we charge 50% for a new ring, and you get to keep the old ring. How durable are your rings? I consider them durable, but they are not a ring to beat up or to wear during manual labour (E.g. construction work / weight lifting). They are carefully hand crafted just for you and if they are treated with respect they can last as long as you want! What if I order the wrong size? I can resize the ring up or down half a step at no charge, but if the size needs to be changed greated than a half size, I will need to remake the ring. At that point I charge 50% for a new ring.